Let’s face it, modern relationships can be kinda complex. And if you’re in a relationship with someone who has been divorced, and has children from their previous relationship – or if you have children from a previous relationship, then you’re probably in the middle of that kind of complexity. 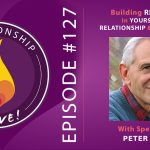 Back in Episode 21, with Katherine Woodward Thomas, we talked about Conscious Uncoupling and the inner work required to heal from past relationships so you can be present for your current relationship. In today’s episode, we’re going to tackle the topic of success in a post-divorce family head-on. 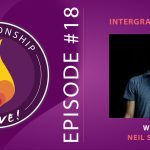 There are challenges that are unique to this situation – and you’ll find that the strategies for succeeding come down to themes that we’ve been covering on the show. How do you connect, communicate, co-parent, and get really clear in a potentially complicated situation? That’s what today’s show is about. 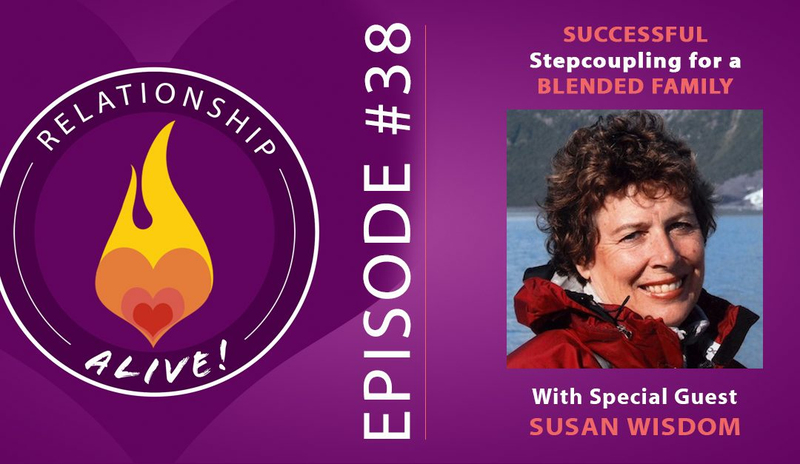 Our guest is Susan Wisdom, retired therapist and author of the classic book “Stepcoupling: Creating and Sustaining a Strong Marriage in Today’s Blended Family”. It’s one of the few books on the topic – and fortunately it offers a lot of helpful information and strategies for strengthening your relationship, and your family, when you’re operating in a post-divorce world. 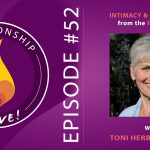 If you’re not in this situation, then I think you’ll find that today’s show has some great insight that can help any relationship, especially if children are present. 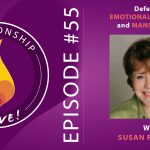 Stepcoupling- The foundation of a strong blended family relies on the health and strength of the step-couple themselves. When all’s said and done, are you each fully committed and in love? Your YES will carry you through the constant challenges (and blessings) inevitable when raising a blended family. It is common for children of split families to try to drive a wedge into the new couple as a reaction to their still being upset about the loss of the original parental couple. If the stepcouple themselves does not feel like a team, the couple AND the children will begin to feel threatened, weakened, and ultimately untrusting. If on the other hand the couple is strong, then the children will begin to trust, adjust, and it will be more natural. 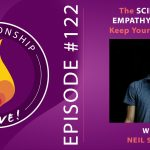 https://www.neilsattin.com/stepcoupling Visit to download the show guide, or text “PASSION” to 33444 and follow the instructions to download the show guide to this episode with Susan Wisdom and qualify to win a free copy of Susan’s book, Stepcoupling.